Despite an influx of newcomers, Portland retains its small town feel and still takes pride in its hipsters, breweries, bike-friendliness, and general quirkiness. 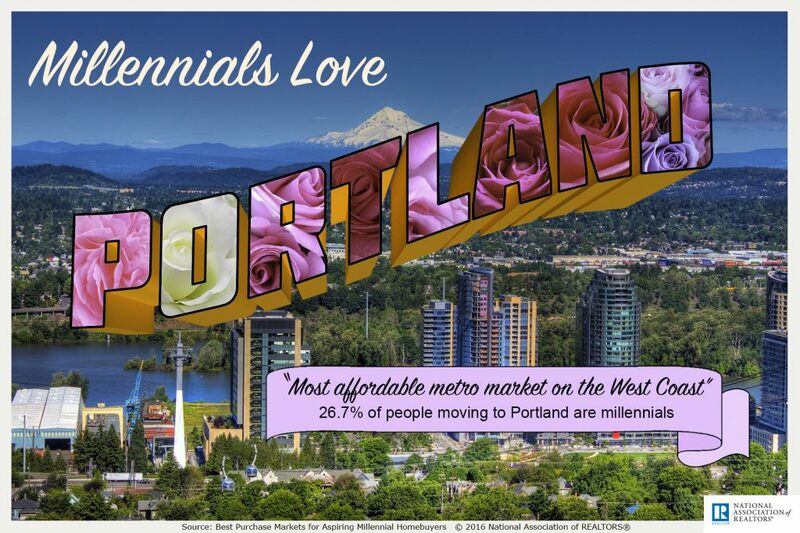 The media tends to poke fun at Portland’s laid back artsy lifestyle, like in the popular television show Portlandia, but prospective movers are beginning to see it as more than just a “weird” place. Portland is great because there’s literally something for everyone. If you like the outdoors there’s mountains, beaches, vineyards, rivers, and hiking trails all within a short drive. The offbeat way of life and beautiful outdoors scene are two of the biggest draws for transplants, but those aren’t the only reason people are flocking here. Portland’s alluring lifestyle happens to coincide with its booming economy, and relative affordability. Tight inventory and rapid appreciation tend to result in increases in price and the number of offers. Population continues to rise, so getting in sooner rather than later is likely the best strategy. If you can swing it, bid as much as you are comfortable with over asking. In this market, offering the minimum will likely cause you to miss out on your dream house.